LOOKING FOR THE WEATHER APP? You are at the right place then! The Weather HD is the most accurate weather information app on App store. Allows users to get Current weather conditions, and 5 days Forecast details of any region/s around the world. 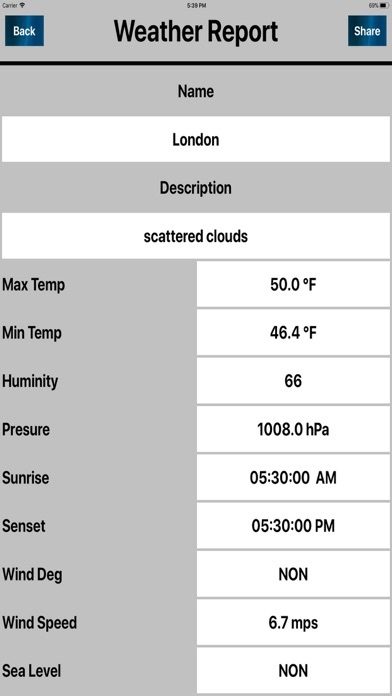 The Weather HD procures weather data from trustable sources that provides highly accurate and reliable information at all times, and never prevents from relay! The Weather HD App. FEATURES: Forecast all around the World. 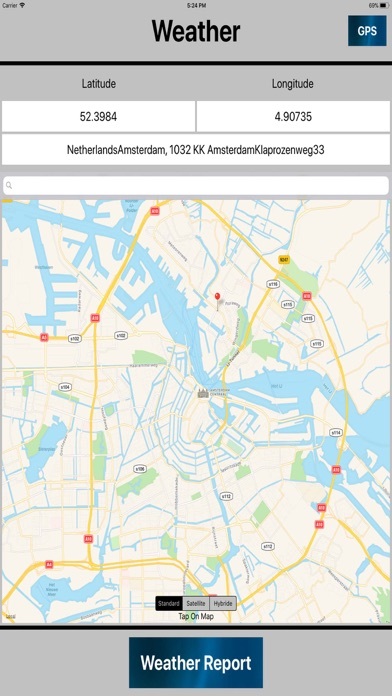 One of the best parts of The Weather HD application is that it stores lot of cities that user searches so that whenever the user need to check the weather of that place need not have to search again. 5 days Weather Forecast. 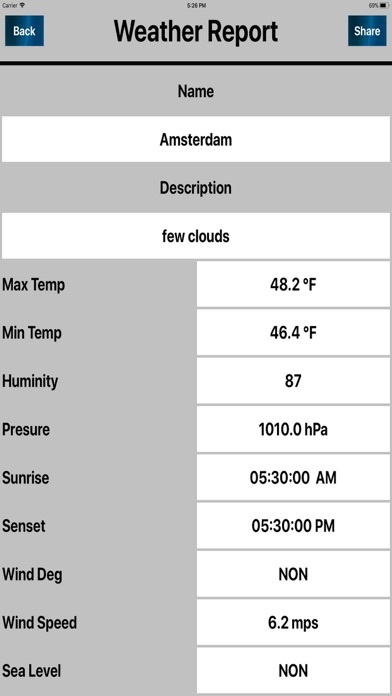 Get Information about: Temperature, Wind Speed, Humidity, Pressure, Sunny/Cloudy, Visibility, Precipitation, Date, time etc. * Continuous Weather updates. 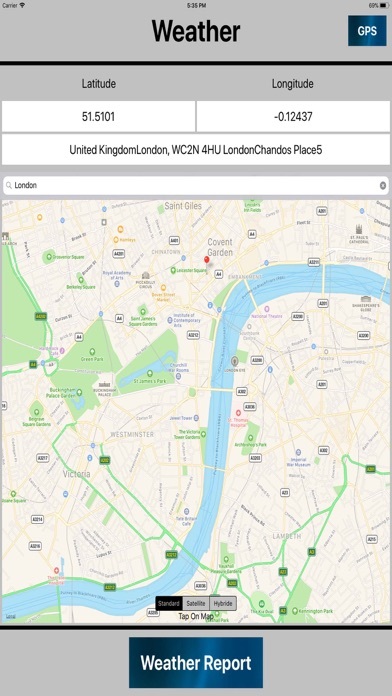 * Search Weather by City/Country. * Accurate & Reliable Current and Forecast Information. * The Minimum & Maximum Temperaturesare Centigrade and Fahrenheit Formats. * Users can view details of Temperature, Wind Speed and Pressure in desired Formats. * Wind Direction Display. * Image represents the weather condition like cloudy, sunny or rainy. * Easy to understand, interface and design. Please note that in order to get the current weather details and weather forecast this application requires Wi-Fi or proper network connection to fetch weather information and updates.